It turns out, doing a masters degree at Harvard is a lot of work! Not only has it been difficult to write regular blog posts, but it has also been difficult to prioritize practicing what I “preach.” As I study for days on end, I am constantly reminded that we now live in a society where Connectedness is optional and requires constant effort—and that constant effort is not always feasible. This holy instant would I give to You. Be You in charge. For I would follow You, Certain that Your direction gives me peace. And if I need a word to help me, He will give it to me. If I need a thought, that will He also give. And if I need but stillness and a tranquil, open mind, these are the gifts I will receive of Him. He is in charge by my request. And He will hear and answer me, because He speaks for God my Father and His Holy Son. This holy instant would I give to Love. Be Love in charge. For I would follow Love, Certain that Love’s direction gives me peace. And if I need a word to help me, Love will give it to me. If I need a thought, that will Love also give. And if I need but stillness and a tranquil, open mind, these are the gifts I will receive of Love. Love is in charge by my request. And Love will hear and answer me, because Love speaks for All. And that’s just a few. I am sure there are plenty more out there, just waiting to be discovered, or perhaps, waiting to be written—by you! [i] Howell, A. J. (2017). Self-Affirmation Theory and the Science of Well-Being. Journal of Happiness Studies, 18(1), 293-311. [ii] Lolla, A. (2017). Mantras Help the General Psychological Well-Being of College Students: A Pilot Study. Journal of Religion and Health, 1-10. [iii] Boyle, S. (2017). 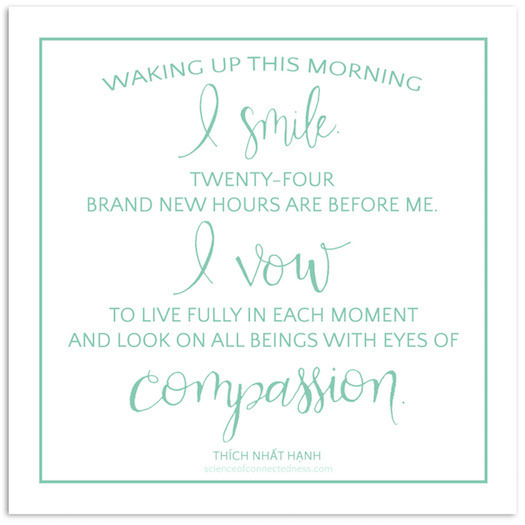 Mantras Made Easy: Mantras for Happiness, Peace, Prosperity, and More. F+ W Media, Inc.
[iv] Bartok, J., & Roemer, L. (2017). Remembering-and-Receiving: Mindfulness and Acceptance in Zen. In Handbook of Zen, Mindfulness, and Behavioral Health (pp. 237-250). Springer International Publishing. 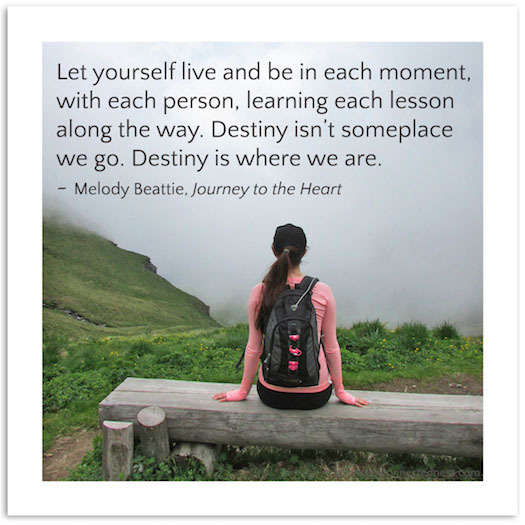 Hi Sarah…I enjoyed your post today…thanks for these inspiring reminders to live in the moment and be connected!